The Haenyeo photo exhibition by photographer Yu Yong Ye (유용예) continues to be held until Oct. 22 at the Seogwipo Cultural Battery Station, Jeju. 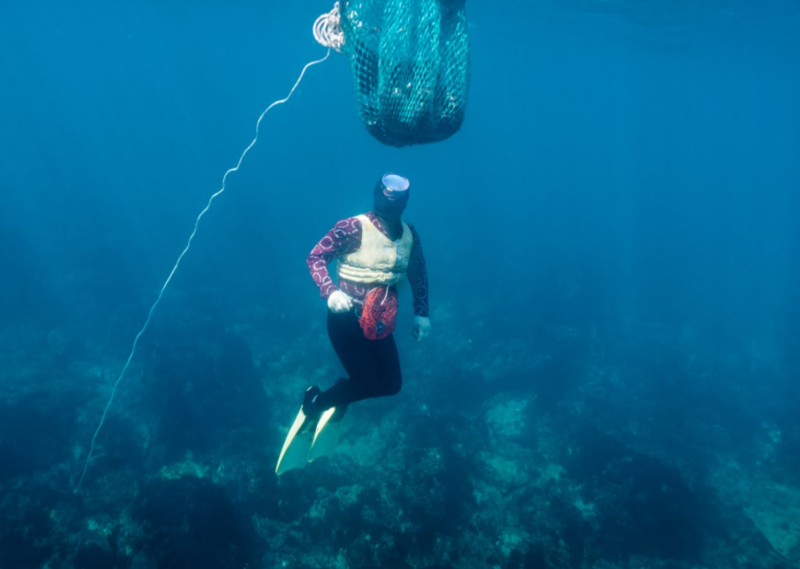 Jeju Haenyeo are freedivers with a centuries-old tradition of harvesting marine products. They dive 10-20 meter underwater without using any supplemental breathing apparatus. With knowledge of the sea and marine life, they dive for up to seven hours a day, holding their breath for one to two minutes at a time. Some skilled haenyeo dive as deep as 20 meters for about three minutes. Jeju women divers are classified according to skill levels; ‘Sang-gun (highest), ‘jung-gun (middle), and ‘ha-gun (lowest). The category of the lowest level generally includes the novice, the young or small, and elderly grandmother divers. The title of the exhibition ‘Halmang Bada’ or ‘Grandmother’s Sea’ refers to the shallow sea where the elderly grandmother divers catch sea products. It is a long-time haenyeo tradition that Sang-gun Haenyeo do not work at Halmang Bada so that the elderly, weaker haeneyo can work together at sea. The photographer Yu Yong Ye lived for years on Gapado Islet of Jeju to record the lives of local diving women, especially one elderly diver who started to dive at sea at age 13. “Haenyeo’s life is running just like the ebb and flow of the sea. They live with sea, sometimes fight against it. Their strength, bravery, and perseverance brought me to Gapado island and I miss it all the time. Jeju’s grandmother Haenyeo are flowers and light of the sea,” said photographer Yu. Jeju has been gaining worldwide recognition as Jeju Haeneyeo were designated as UNESCO Intangible Cultural Heritage of Humanity. UNESCO inscription was granted on Nov. 30, 2016. 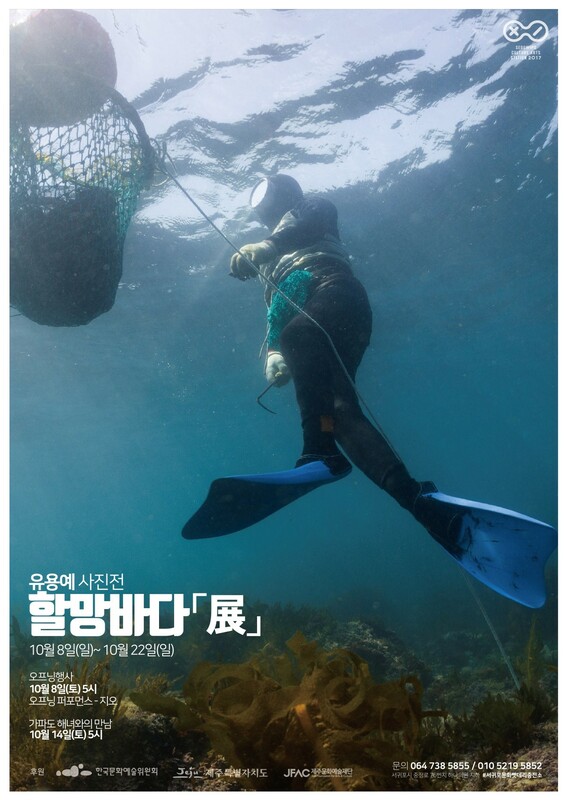 Jeju haenyeo (women divers) are living witnesses of inhabiting Dokdo from as early as 1950s.